16-year-old is the first American skater to land four quadruple jumps in his long program. Nathan Chen made history Sunday at the 2016 U.S. Figure Skating Championships by landing four quadruple jumps in his long program, more than any American skater ever. Still apparently not enough to win though. Despite the unprecedented four quadruples, Chen finished third with a score of 266.93. Veteran Adam Rippon, who is considered a more lyrical skater, won his first national title without landing any quads, earning a total score of 270.75, while runner-up Max Aaron had two quadruples jumps and a total score of 269.55. 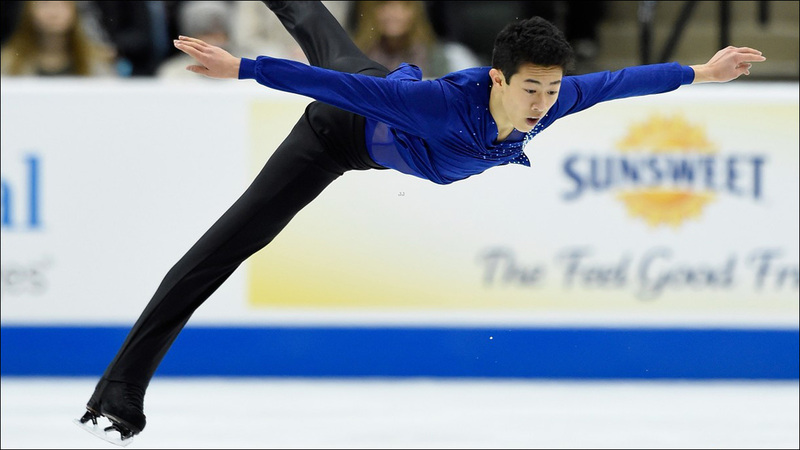 On Friday, Chen became the first American man to land two quads in the short program. His initial plan had been for three in the free skate, but he apparently felt good enough to attempt four. All three skaters qualified to represent the United States at the world championships in Boston this spring. Chen, 16, will also compete at the world junior championships in Hungary. If anybody's wondering, Nathan Chen is the future of U.S. men's figure skating.